See... the shoe was in front of him instead of his feet. 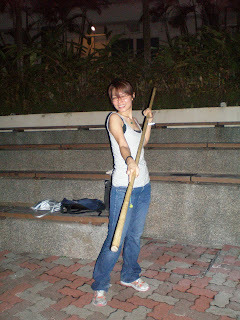 Meanwhile, Min's and me were playing with the rod, which Cheng Liang is using. Both of us really has got nothing to do. 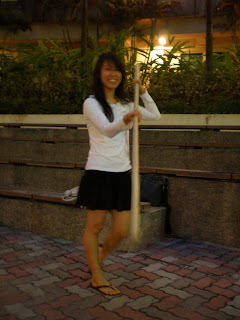 The performance was for the Malaysian Student Association Chinese New Year reunion dinner. Hmm.. quite meaningful ones for us who are studying abroad. Had a great time! !